Days after deputy governor Viral Acharya raised concerns over the central bank's autonomy, the Reserve Bank employees association on Monday came out in support of the views, saying, "Undermining the central bank is a recipe for disaster" and asking the government to stop nibbling at its autonomy. Delivering the AD Shroff memorial lecture last week, Acharya said governments that did not respect their central banks' independence would sooner or later incur the wrath of financial markets. "We firmly hold that undermining the central bank is a recipe for disaster and government must desist," All India Reserve Bank Association said in a letter. The association said Acharya's comments about the government's interventionist role vis-a-vis the RBI has created a flutter across the nation. "This is, however, not a sudden outburst, but was waiting to happen due to long simmering discontent," the association said. Giving a cricketing analogy, Acharya had said a government's horizon of decision-making was rendered short, like the duration of a T20 match, by several considerations. acquires urgency; where manifestos cannot be delivered upon, populist alternatives need to be arranged with immediacy." In contrast, a central bank plays a test match, trying to win each session but importantly also survive it so as to have a chance to win the next session, and so on, the deputy governor had said. He said the central bank is not directly subject to political time pressures and the induced neglect of the future by virtue of being nominated rather than elected, central bankers have horizons of decision-making that tend to be longer than that of governments, spanning election cycles or war periods. The letter said the hiatus has widened now and the deputy governor has spoken more "in disgust and despondency" due to continuous nibbling by the government and the finance ministry. 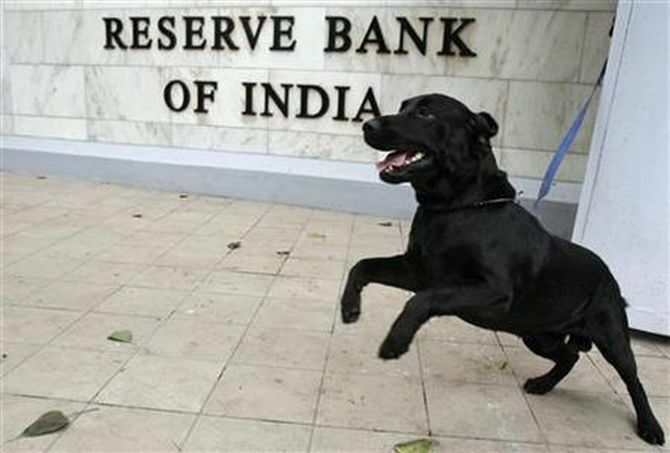 "Even the RBI board is being sought to be stuffed in a particular direction which would prompt the discerning people to look askance, and make it difficult for RBI to frame policies," the union said in the letter. Asking the government to stop armtwisting the central bank, the letter said both should talk and sort out the issues, instead of trying to ride roughshod over RBI and warned that "what they (government) are trying is at the expense of the nation". "We appeal to all right-minded people and experts to speak out and persuade government to amend, and let RBI do its jobs in an unfettered way as per statutes, mandates, practices," the letter said.